It’s hard to escape the emerging media excitement about the gut microbiomes impact on human health. While there is much excitement, it can be difficult to sort through what is pre-speculative hype and what is substantial science. Enter, the Sonnenburgs and their recent book, The Good Gut. Justin Sonnenburg and Erica Sonnenburg are the preeminent scientists researching the gut microbiota. Together, they run the Sonnenburg Lab out of Stanford’s Department of Microbiology and Immunology. As a direct result of their scientific discoveries on the gut microbiota, The Sonnenburgs found themselves making profound dietary and lifestyle changes. Yet, they realized that their friends and the general public were not yet aware of the importance of this “new organ” and its implications for human health. To help the rest of us out, they wrote The Good Gut: Taking Control Of Your Weight, Your Mood, And Your Long-term Health. The Good Gut summarizes the current scientific understanding of the gut microbiota and the practical recommendations for cultivating healthy gut ecology. As someone who has been excitedly following the microbiome research for years, I can honestly say this is *THE BEST* book I’ve read on the topic to date. FIRST, WHAT IS THE GUT MICROBIOTA? The gut microbiota refers to the community of bacteria and other microorganisms living in the GI tract. The gut microbiome refers to the genetic material these microorganisms possess. This “second genome”, unlike our own genetic material, is rapidly malleable and altered by our lifestyle and dietary changes. For this reason, the community of gut flora serve as an extension of our own genome and have profound implications to our health. HOW DOES IT IMPACT HEALTH? In the book, the Sonnenburgs refer to the microbiota as our own internal drug factory. When the gut bacteria feed on dietary fiber, a fermentation process occurs, which produces an assortment of molecules that are released and absorbed into the circulatory system. It appears these molecules communicate with our brains and bodies to produce profound health effects. Another way it impacts our health, is through the connection between the gut’s impact on the brain via the brain-gut axis. The brain-gut axis is a vast connection between the brain and the gut through neuronal and hormonal communication. In fact, there are so many neurons in the gut, that it has been referred to as the “the second brain”. Studies also show that stress and mood disorders can change the population of the microbiota. This is likely modulated by our autonomic nervous system (stress and relaxation responses) which control things like gut motility and mucus secretion. Thus, stressful states change the environment of the gut, which changes which populations of microbes are likely to thrive there. Inversely, bacteria in the gut also appear to impact mood, perception and potentially even behavior. In mouse models, scientists have shown that they can change mood disorder and personality states by transplanting microbes between mice. With more research, the mechanisms for exactly how the gut flora so profoundly impact mental and physical health will continue to get clearer. WHAT’S WRONG WITH OUR MODERN GUTS? For most of our evolutionary history , we subsisted as hunter and gatherers, consuming mostly wild plants and lean meats. The advent of Agriculture 12,000 years ago drastically changed how we eat and live. Another radical change to our diets happened 400 years ago with the industrial revolution, which resulted in our current model of highly accessible, mass produced, highly sweetened, low-fiber processed foods. To investigate the climate in which our physiology (and our relationship with our internal population of microorganisms) evolved in, scientists have studied the last remaining full-time hunter and gatherer tribe, The Hadza people of Tanzania.In stark contrast to modern Americans who consume 10-15g fiber a day, the Hadza consume on average 100-150g a fiber/day. As a result of this dietary fiber diversity and outdoor lifestyle, their gut microbiota has much more diversity than the average American. Our modern lifestyle appears to have stripped our modern microbiotas of their rich diversity, which is thought to explain much of Western disease states. 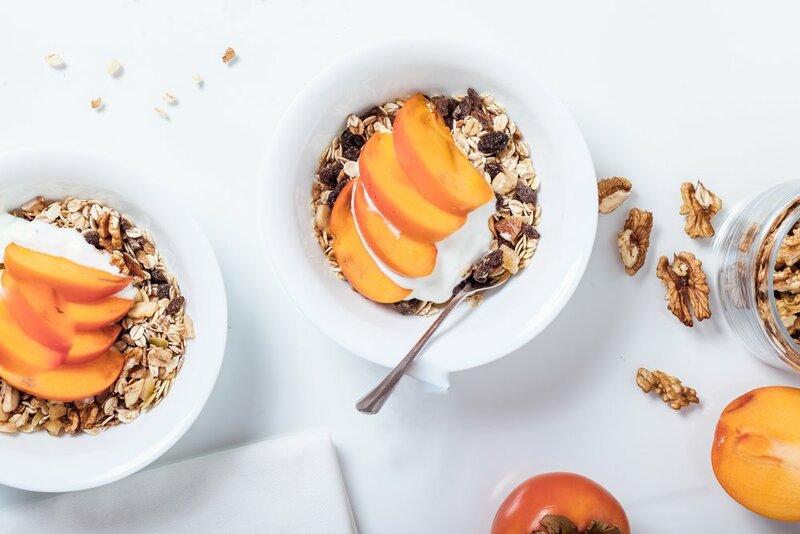 Currently, lack of dietary fiber and the subsequent lack of microbial diversity, is linked to weight gain, increased inflammation and risk of chronic illness. Just like we focus on feeding ourselves, we’d be wise to also consider how to best feed our internal flora. The Sonnenburgs make it clear that the key to optimizing our microbiota is all about dietary fiber from complex carbohydrates. Complex carbs (unlike simple starches and sugars), survive the transit from mouth to colon, where they are accessible to the microorganisms living in the large intestine. The Sonnenburgs call these foods, Microbiota Accessible Carbs (MACs). Examples of of MACs include beans, whole grains, fruits and vegetables. If we do not consume enough dietary fiber (MACs) our gut bacteria resort to feeding on the mucosal lining of the gut, which serves as a backup carbohydrate source. Normally, the mucosal lining provides a barrier which protects our intestinal and immune cells from contacting the microbiota. When this barrier is compromised, our immune system is exposed to bacteria, which triggers a systemic inflammatory response. In summary, if you are not regularly consuming foods that feed your internal bacteria, they will resort to feeding on your gut wall. This diminishes the quality of your gut barrier, and leads to increased systemic inflammation. If you’ve made it this far, I’m sure you’re wondering how to cultivate the health of your internal flora. Luckily, the Sonnenburg’s book focuses as much on illustrating the practical lifestyle recommendations as summarizing the research findings. Eat a wide diversity of dietary fiber from complex carbs ( MACs ) like beans, whole grains, vegetables and fruits. Reduce consumption of meat and saturated fats, which appear to favor a microbial population which is more inflammatory. Increase probiotic rich foods such as fermented dairy products, kimchi, kefir, sauerkraut etc. For more fascinating science and in-depth recommendations, check out the book! What are you currently reading? Any health books you'd recommend for a future review? Tara McCoy is a Health Coach, Yoga Teacher, and Writer. She specializes in personal optimization through healthy lifestyle changes. Her writing focuses on cultivating wellness by integrating mind, body, and spirit. Tara is also a regular contributor to the Huffington Post. Sign up here with your email address and I'll send you some cool stuff. How To Exercise For Free, Anywhere, Anytime. Huffington Post: We All Know We Should Be Eating More Vegetables..Here's How To Actually Do it.